UND leads 2-0 against Chatty. UND beats the Mocs in three sets, 25-20, 25-22, 25-15. UND loses first set 25-16. Hitting % from Dooley and Merseli has been bad. The hitting % has been better in the second set, but now behind 21-19. Emily Stroup from Fargo for Ole Miss is getting a bunch of kills. Ole Miss takes 2nd set 25-20. 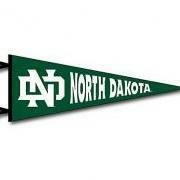 Thought UND would handle them, but it appears not. UND wins the third set by 25-14. UND has been out blocking them the whole game, but this set out hit them. Julie K appears to be the star on the stat sheet. It appears one of Ole Miss' best 2-3 players is Emily Stroup, a sophomore from Fargo South. It would have been nice to see her in the green & white. Any relation to Bobby Stroup?? I think so but not positive! UND holds on in the 4th set, 30-28. Going to be fun year no matter what happens in 5th game. They are playing at Ole Miss. now 14-14 in the 5th. That was the first volleyball game I have ever watched. Decided to finally take a look at all the hype and found it very exciting. Might make it to the Betty for a game or two! Did you have to pay for the game or sign up for a service? Don't know for sure, but Ole Miss probably promised a h/h with UND if she signed with them. Texas A&M played a h/h with UND as a favor to a Manitoba gal. Nice of Fraase to come through with a service ace for the win. They were down so many times in overtime in the 4th and 5th sets and they hung in there. An SEC win is always great for an RPI boost.